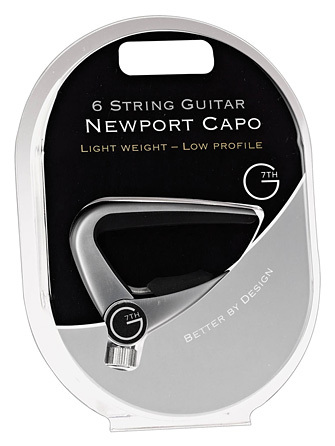 The G7th Newport for 6-string guitar is so small and light, you'd hardly know it was there! Easily applied and removed using the quick-release lever, while the screw adjusts the tension – even with the capo in position. The Newport is also the smallest of the three models. It's slim, and rounded, so you'll hardly know it's there.